I have collected Liberty fabrics since I was eight years old. Even though I grew up in a rural Queensland town, we were lucky to have a little shop in the centre of Bundaberg that stocked only Liberty fine cottons. This was where my love for the floral and paisley patterned Liberty Tana Lawn began. I would collect little pieces of the precious cotton prints and make watchbands, hair ties, patchwork bags and purses. It was inspiring to know there were such beautiful things in the world. The color ways and patterns made a deep impression on me and were a window to distant exotic lands. I still collect Liberty fabrics to this very day, along with luscious and eclectic velvets and silks, and patterned John Kaldor viyella and jersy. 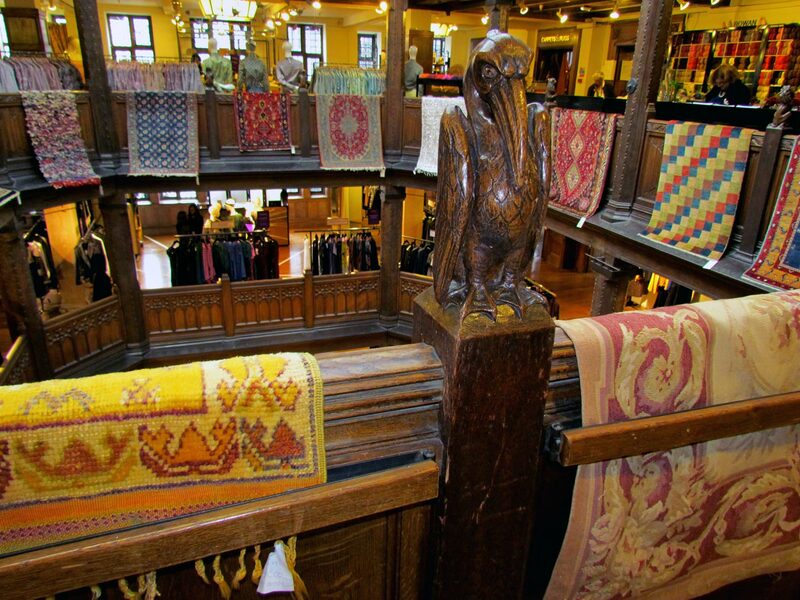 While I had arranged to meet with Anna Baruma, Liberty of London Archivist on my way back from Turkey, I decided I would take the opportunity during my stopover to visit Liberty of London the Store. I met with Brian Boyle from Japanese Prints and Fine Arts, as well as Bruce Lepere; Oriental Rug Buyer from Oriental Rugs at Liberty and a walking talking treasure for his knowledge of Liberty history. 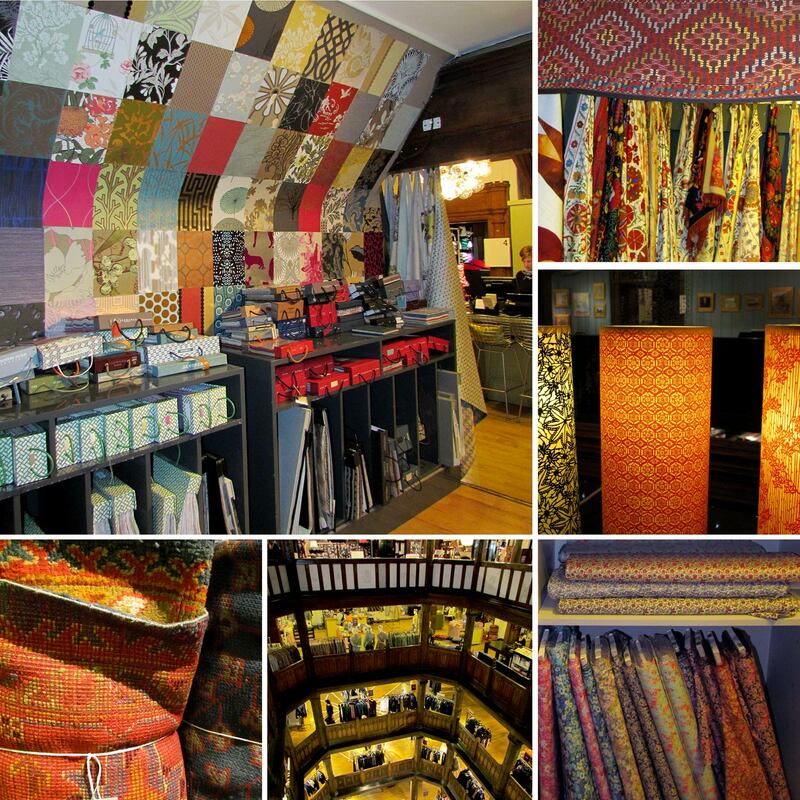 These two sections of Liberty, especially Oriental Rugs, have been a part of Liberty of London from the very beginning. 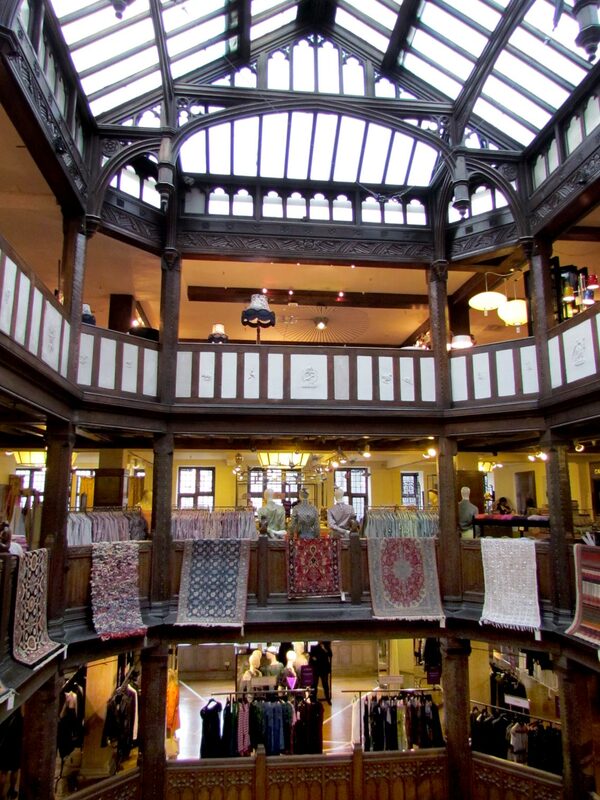 Through the vision of Arthur Lasenby Liberty, Liberty of London was originally conceived of as an emporium; bringing the best of the world to London. The essence of the store was to bring exotic and beautiful goods of quality from the East to the West: to stock things that no one else had seen and to make them available to discerning Londoners. Imported textiles; dyeing techniques; Japanese fans, screens and art prints; Blue and White Pottery from China: inlaid wooden boxes and carvings, metal work and rugs from Persia and Turkey filled the Emporium. The materials and richness of color and pattern, in turn, inspired a whole generation of British talent to design and produce high quality goods. In 1920 Liberty’s Tana Lawn was launched; made from a particular cotton plant from Lake Tana in Sudan. It had the feel of silk but did not come with the price of silk. Its quality was due to the long fine staple of the particular cotton and the skill of the weavers to pack a very high thread count into the fabric. While Liberty is best known for its small floral prints, the first Liberty Tana Lawns were far more exotic. Ianthia was the first, followed by Hera (Peacock Feather) and the beautiful and complex Strawberry Thief (by William Morris). Why is this important? This process of travel and trade along the Silk Road to stores such as Liberty of London, assisted then and continues in the transmission and transformation of traditional patterns and techniques of making. They were assimilated through designers, makers and artists, inspired by the fluidity, materiality, depth and color, and especially ‘otherness’. Wallpapers, textile design, rugs, home wares, tiling patterns, furniture making and architecture were all transformed by exposure to the tradition and richness of making from the East. 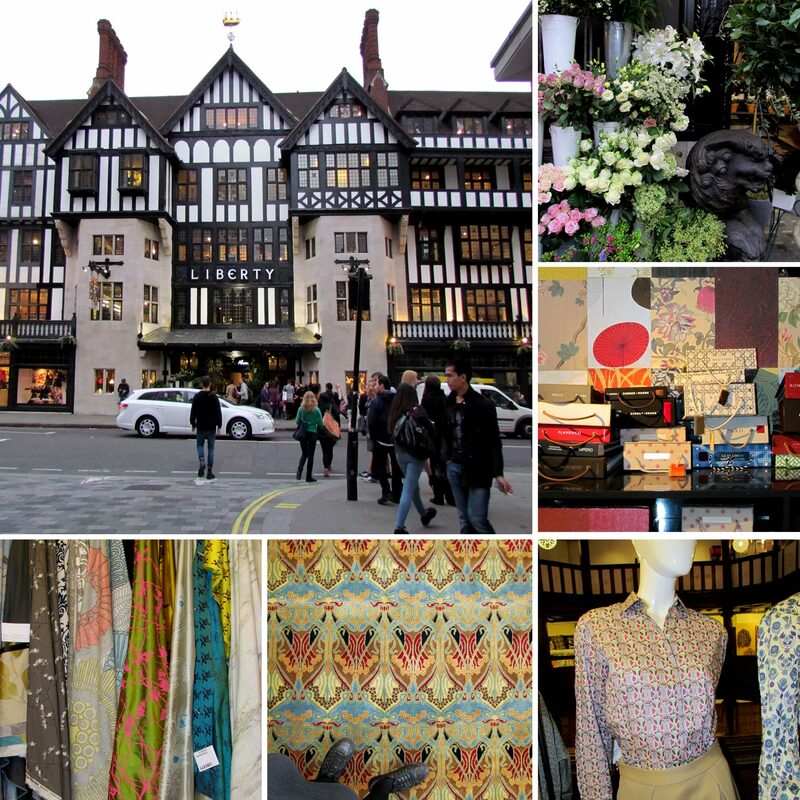 (In conversation with Brian Bolye, Bruce Lepere and the generous staff at Liberty of London).